The special session of the House was convened by Governor Mridula Sinha to conduct the floor test, after Sawant was sworn in as the CM during wee hours of Tuesday. 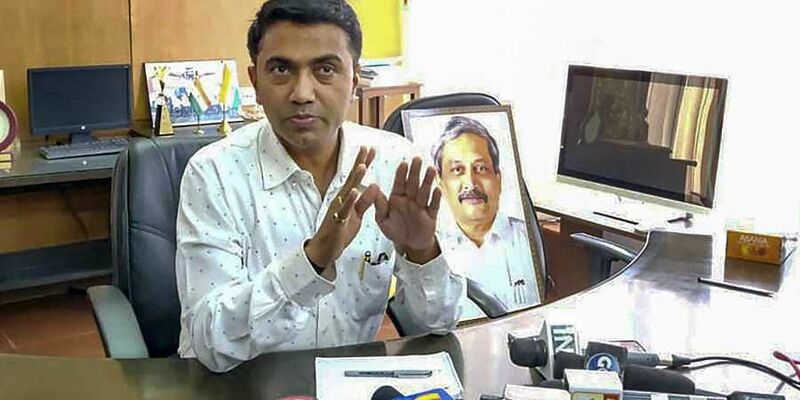 PANAJI: Goa’s new BJP-led coalition government of Pramod Sawant on Wednesday breezed through the vote of confidence with a comfortable margin of 20:15. The BJP Chief Minister was supported by 11 members of his party, three each from Goa Forward Party (GFP), Maharashtrawadi Gomantak Party (MGP) and Independents, while 14 Congress members and one Nationalist Congress Party (NCP) member stood in opposition during the trust vote on the floor of the Assembly. The Assembly session was presided over by Deputy Speaker Michael Lobo. The Goa Assembly has 40 seats, but currently, there are only 36 members. While the BJP’s Francis D’Souza died last month, two Congress members had earlier quit to join the BJP. The by-election for the three constituencies is scheduled on April 23. The fourth vacancy was created by Manohar Parrikar’s demise on Sunday. After winning the trust vote, Sawant appealed to all members to work with him to ensure the development of the remotest corners of the state. The House also condoled the deaths of Parrikar, D’Souza and former Deputy Speaker Vishnu Surya Wagh. The leader of Opposition Chandrakant Kavlekar, said that Parrikar made Goa proud by rising to the post of the country’s defence minister and his style of working needed to be emulated. He also lauded Parrikar’s skill of running the government with allies despite not winning the mandate in the 2017 state polls. MGP’s Sudin Dhavalikar, who is now Deputy CM, announced that the upcoming bridge on Zuari river would be named after Parrikar and two of its pillars would have his portrait.